As chair of Arby's largest franchisee, Jeff Davis has led his family-owned business to new heights. Davis is quick to say the restaurant business is in his DNA, and his vision, track record, and passion for providing opportunity to anyone who works for his company made him a natural for the 2016 Mega Growth Leadership MVP Award. Davis, son of the late restaurateur Bob Davis, helped his father open the Tulsa family's first Arby's in 1969. The restaurant posted $200,000 in sales that first year. 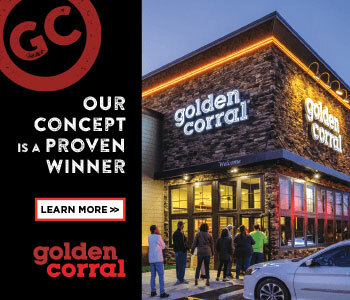 Today the company, United States Beef Corporation (US Beef), operates 333 restaurants in 8 contiguous states across the country's midsection (Oklahoma, Arkansas, Kansas, Missouri, Illinois, Colorado, Idaho, and Wyoming)--along with an aggressive expansion plan to add 70 new restaurants by 2022 and remodel 123 existing stores along the way. US Beef, still a family business nearly 50 years later, is co-owned by Davis and his younger brother, CEO John Davis, who started with the company in 1975 as a crew member. The company, the first franchise partner of Taco Bueno, also owns six of the Tex-Mex fast food restaurants in Northwest Arkansas. When Davis took the helm at age 43 after his father's death in 1995, he immediately set out to grow the company by surrounding himself with trusted business experts "who have carried me through all these years," he says. "It's about hiring the right people who are really good and have the potential and let them go, and not try to manage them by the minute." Davis, who has been recognized for his leadership and growth of the Arby's brand as Franchisee of the Year and with the Arby's Maverick Award for innovation, is counting on that philosophy as an executive branch shuffle--the first since 1995--takes shape. In December 2014, Davis moved from CEO to chair, and his brother John from president to CEO. Brett Pratt, hired in 1995 as chief financial officer, now serves as the company's first nonfamily president. Jeff Davis's son Bo, who started working for the company as a summer crew member, now guides company operations in the newly created post of chief operating officer. But don't expect Davis to retire anytime soon. In many ways, after 42 years he's just getting started. A longtime board member and current vice chair of the National Restaurant Association, he is expected to take over as chair of the world's largest foodservice trade association in the coming year. He also serves as chair of the Arby's Franchise Association and is a board member of the Oklahoma Restaurant Association. Throughout, he remains steadfast in his mission to invest in training and development, despite grappling with the wave of laws and governmental regulations affecting labor policy. For Davis--who prefers to call those who work for him "family and friends" rather than employees--providing possibilities for others to succeed, no matter what their education or background, still provides the greatest joy in an industry that is all Davis has ever known. "If you are willing to work hard you can still have the American Dream. That is why it is really exciting to me," he says. "Everything we've done--my brother and I, and now my son--is about taking care of our people, trying to open up restaurants and give them the opportunity." Thanks to my parents, Bob and Connie Davis, the restaurant business is in my DNA. I've never known anything but restaurants. Dad never worked anywhere else. He and mom either owned or worked in a restaurant, and as their five children (I was the oldest) got old enough to clean a table, wash a dish, or fill a sauce bottle, my parents made it a family affair. It was fun working as a family unit. After school and weekends, it was something we all looked forward to doing together. I recall those early days with great fondness. Obviously, becoming one of the pioneer franchisees of Arby's in the late '60s was a significant event in my life. It set the course. But by 1995 both my parents had passed away, and at the age of 43 I had to take the reins. Spearheading the growth of the company has given me the most satisfaction, generating economy in communities across an 8-state footprint and providing employment and career path opportunities for more than 7,000 employees. 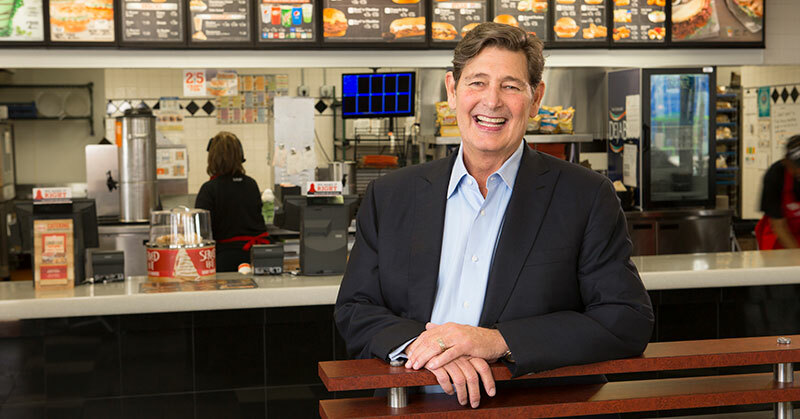 In the past 47 years, I've also been proud to serve in positions of leadership in the industry I love so much, including as the current vice chair of the National Restaurant Association and current chair of Arby's Franchise Association (AFA). I have also served on the board of trustees for the Arby's Supply Chain Cooperative since 1986. My alma mater, the University of Tulsa, has also been very kind. I have been honored as a University of Tulsa Distinguished Alumnus and inducted into the University of Tulsa Business Hall of Fame in 2012, where I received the Outstanding Entrepreneur award. I really couldn't tell you when my work week starts or when it ends. When you own and operate 340 restaurants, with many more on the drawing board, there are really very few moments when I'm not working. And with the additional responsibilities as vice chair of the NRA and chair of the AFA, my plate stays pretty full with travel to Washington, D.C., Atlanta, industry events, and meetings with various constituents inside the industry, Arby's, and my executive team at US Beef. With my various responsibilities, I have a mountain of material to review on a daily basis. There are NRA publications and white papers, marketing and operations communications from Arby's Restaurant Group, the Wall Street Journal, and as you might imagine, too many emails to count. I've always been a history buff, and after seeing "Hamilton" on Broadway bought Ron Chernow's book Alexander Hamilton, which I'm enjoying reading right now. And, I always find time to read some passages from the Bible. I've been so blessed in my life to have wonderful teachers, mentors, and coaches--and have learned from all of them. But through osmosis, the best professional and personal advice always came from my parents. I'll never forget the three words that dad repeatedly told me to master in the restaurants: "Cleanliness. Service. Product." At the risk of sounding like a cliché, they also instilled in me the Golden Rule: to treat everyone as I'd like to be treated. Their advice was really about "servant leadership" before that phrase was coined and went mainstream. It's always been people. Our employees. Our guests. I learned early on in this business that if you don't strive to run a great operation, you can't serve either one very well. Having great operations generates more profit that enables you to pay your employees well and offer better benefits. In turn, happier employees who are proud of where they work do a better job serving our guests. Stay focused on what you can control from the operations side of the business. You can't control the weather or the economy, but you can control how you treat and compensate your employees. You can control expenses. You can control training and guest service. You can control fair pricing that reflects value. Don't ever lose sight of what's important: "Cleanliness. Service. Product." Again, we're in a people business. But it's also become a more complex business. So I've focused on finding and hiring really good people at skilled positions. Then we make sure they're well trained and coached, understand the vision of our company, and then empower them to do their job. To be a better company today than yesterday, with the capability and attitude to quickly adapt to competitive challenges, the economic environment, prohibitive government regulations, employee hiring and retention, and staying ahead of consumer trends. With humility being one of our core values, this question is a delicate one to answer. I've never been a fan of "I"; it is always about "We." So I'll answer this question "in all humility." I think others would describe me as an effective leader, who listens. I'm also a product of my parents, who were empathetic, compassionate, and never forgot where they started out in life. I hope others would describe me as humble and grateful, with a strong desire to pay it forward professionally and personally. Recruiting and hiring the best talent we can find has been our number-one goal. We're always on the lookout for outstanding candidates. Given our growth, it's important for us to promote from within first and foremost. Our district managers and directors are the key to hiring and recruiting talent in the restaurants. We have processes in place to select the best candidate for the job, but at the end of the day it comes down to the candidates who can truly meet and support our company values and standards. Progressive discipline has always been our preferred method of trying to afford all employees the opportunity to improve. While we make every effort to give opportunities to employees, we sometimes have to make tough decisions to let them go if they're not meeting our expectations or following our policies or procedures. In regard to training and retaining, employees are our number-one investment, our greatest asset. It's not only our goal, it is our responsibility to give our employees every opportunity to succeed, and you do that with constant training, with content that is always relevant and up to date. We've made a big investment into the digital age with our training, deploying iPads to all locations for on-the-job and online training--and to assure that all of our employees are receiving identical training. Employee retention begins from the moment we say, "You're hired!" We're training our leadership to have a servant's heart, mentoring and coaching to help lift the crew person to the next level and beyond. We want to help create a career path for that new employee, and have established a process to provide consistent feedback to that employee to reach their goals. Retaining an employee is as important as retaining a guest, and a lot of the same service principles are involved. Besides the robust construction and development plans for new restaurants, we also plan on honing our recruiting and retention skills, elevating our new employee training program, and developing more in-depth dashboard data, allowing us to monitor all restaurants on a daily basis and giving us the ability to react faster to struggling restaurants. Add 70 new Arby's restaurants between now and 2022, while remodeling another 123 in the same period. I envision our growth to be steady and disciplined, relying on our experience, data, and technology to grow the brand in our territories, while always being open to smart and strategic acquisitions. I also see our training systems elevated to being the gold standard in the industry. Expanding our footprint is important, but not at the expense of quality and service. Competition for employees is intense. To hire and retain good people, we must have employee benefits and initiatives that make us an employer of choice in our markets. Some of the tangible benefits include a matching 401(k), paid time off, health insurance, management incentive bonuses, and annual performance reviews. There's also a connection between our rapid expansion and our aggressive training, creating unlimited opportunity for employees who express a desire to have a career with US Beef. I think people also appreciate and want to work for a company whose core values are "Commitment, Humility, and Respect." They can see that they're not just empty words on a poster, but true top-down principles that we live every day for each other and our guests. We've never underestimated the importance of succession planning. I'm very blessed to have talented family members engaged in the company, as well as very skilled and tenured people who have been by my side these past 25 to 30 years. We make it a point to always have a strong bench at all skilled positions. Actually, this was a very pleasant surprise. Our franchisor, Arby's Restaurant Group, nominated me for this award. We've been Arby's largest franchisee for some time now, and at the close of 2015 signed a very aggressive development agreement to open 70 new Arby's restaurants in the next 7 years. We also have plans on the books to remodel another 123 of our restaurants. We have confidence in the brand, its leadership, and the unique niche we've carved out in the industry. In a phrase, we don't settle. We continue to invest in professional, skilled people. We've always believed in the brand and kept building and remodeling, even during economic slowdowns. And we've relied on state-of-the-art technology and equipment to sustain our robust business model. We've never been happy with the status quo, nor have we always waited patiently for our franchisor to have all the answers in operations or marketing. We've developed a lot of our own promotions over our 47 years that were eventually adopted by the Arby's system, and have made operational and training innovations to improve workflow that we've shared with our parent and the franchisee system. We're also very proud of the fact that we own the majority of the land our restaurants reside on. In the fall of 2015, our executive group went on a retreat with a single purpose: to put in writing our core values and strategic anchors that would lead our company into the future. We had always felt those values were inherent and presumed, but we wanted to document them as our company begins its next business cycle. We call it our Compass, and its core values are Commitment, Humility, and Respect. I was raised with those values, and have worked hard to personify them professionally and personally. We've always made community involvement a priority--not just because it's good business, but because it's the right thing to do. Our employees work and live in those communities. They have children who go to school there. They worship there. It's our responsibility to be a good citizen and give back to the communities where we do business. John Davis, my younger brother and US Beef CEO, is on the board of the Arby's Foundation, which gives over $3 million annually to Share Our Strength/No Kids Hungry. Locally we do a lot of work with the schools, sports teams, churches, and organizations to make each community we're in that much stronger. Most of our executive group is on a nonprofit board. We encourage our employees at every level to be involved in helping shape their community. What leadership qualities are important to you and your team? I'll have to refer again to our company's Compass, and the core values we look for when hiring: Commitment, Humility, and Respect. So many great qualities actually emanate from those values, including integrity, loyalty, and work ethic. Those are all qualities that enable and enrich a company to be sustainable during good times and bad.